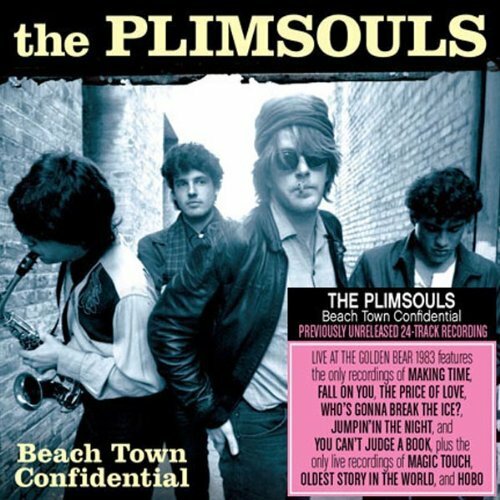 Beach Town Confidential is a real find for fans of The Plimsouls. Recorded back in 1983 at Huntington Beach’s renowned Golden Bear club, the 17 tracks showcase the legendary power pop band performing its most potent originals, as well as some intriguing covers. Six of the songs have never seen the light of day before. The previously unreleased material includes the catchy “Who’s Gonna Break The Ice?” which was written by singer-guitarist Peter Case. The concert also saw The Plimsouls’ romping through The Creation’s UK single, “Making Time,” The Flamin’ Groovies’ “Jumpin’ In The Night,” and Moby Grape’s “Fall On You.” There’s also a rousing take on The Everly Brothers’ “Price Of Love,” and Willie Dixon’s “You Can’t Judge A Book” is given a revved-up British Invasion arrangement. Note: Former Plimsouls frontman Peter Case and Paul Collins, formerly of The Beat, (both musicians were part of The Nerves) will be performing at The Empty Bottle in Chicago, on March 19th.